Unit 4 is quite an explosive time period. 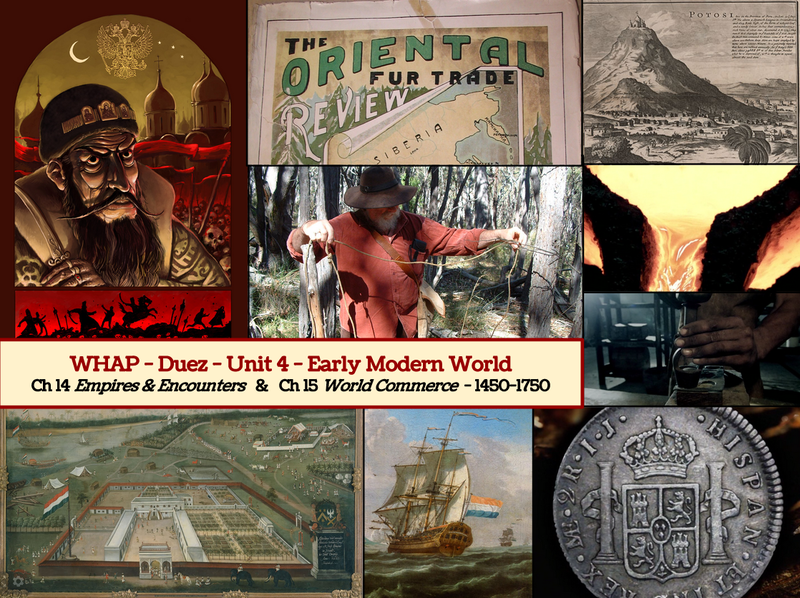 Empires, Exploration, Enterprise, and Enrichment. 1. In what specific ways did trade foster change in the world of the early modern era? assimilate into those older patterns? 3. 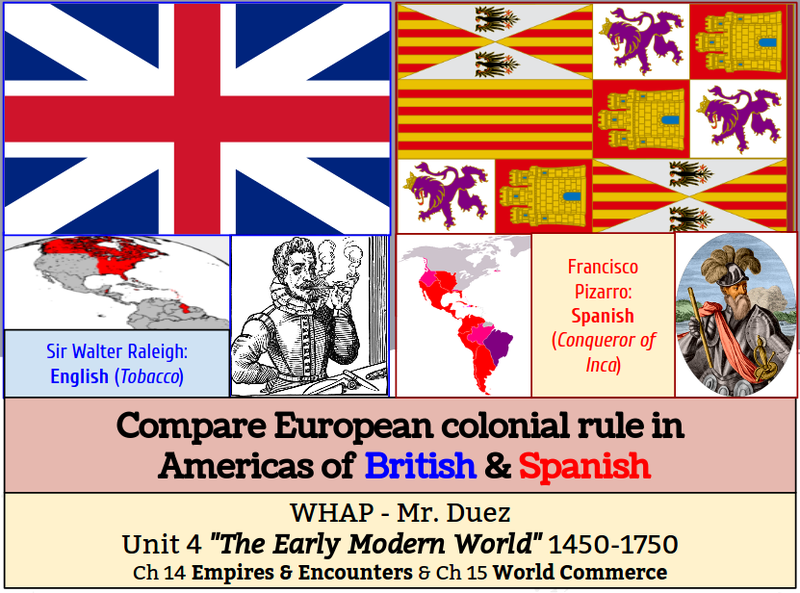 Describe and account for the differing outcomes of European expansion in the Americas (see Chapter 14), Africa, and Asia. 4. How should we distribute the moral responsibility for the Atlantic slave trade? Is this a task appropriate for historians? 5. What lasting legacies of early modern globalization are evident in the early twenty-first century? Pay particular attention to the legacies of the slave trade. 2. Review the quiz in class, discuss questions. 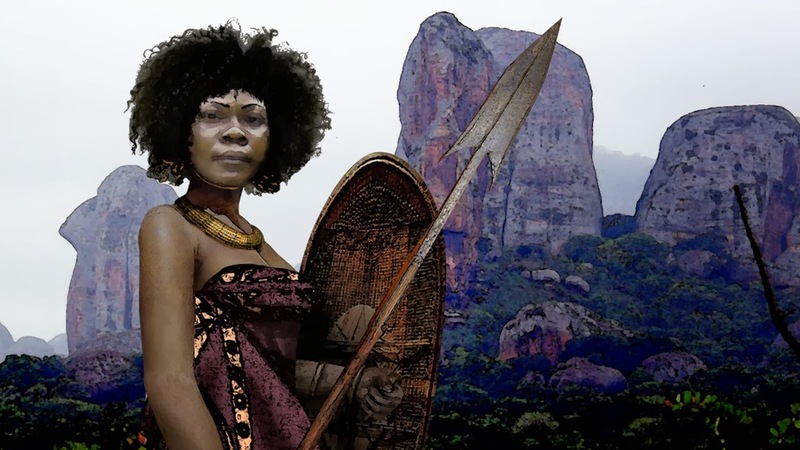 Queen Anna Nzinga, also known as Ana de Sousa Nzinga Mbande, was a 17th-century queen of the Ndongo and Matamba Kingdoms of the Mbundu people in Angola. 1. DO NOW: How should we distribute the moral responsibility for the Atlantic slave trade? Is this a task appropriate for historians? (insert drama) Hello... 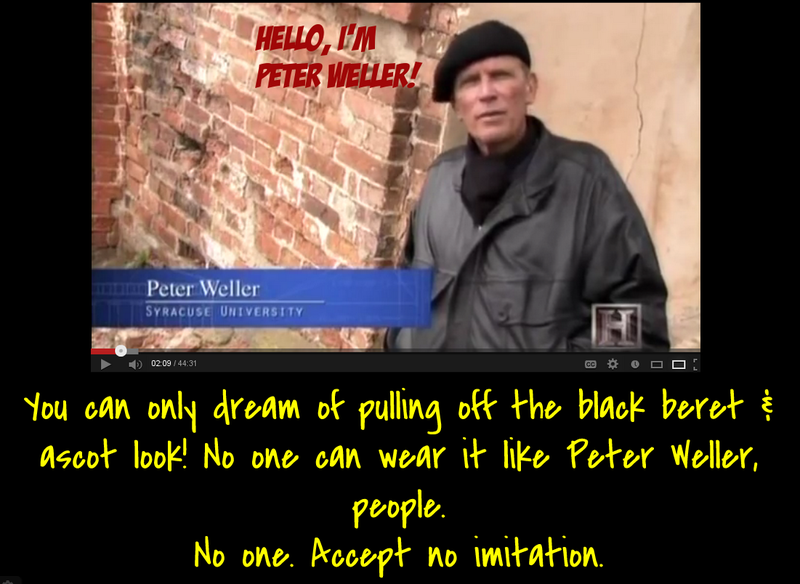 I'm Peter Weller. 1. DO NOW QUESTION: Pick up document at the front: Slavery Document. Article: A Slaves Journey Read and annotate. Slavery, Silver, Sugar, Fur = a new world economy. There are some key differences between how the colonial world developed: Slavery, Culture, & Impact on environment. We'll watch segments and then discuss as a class. How does it relate to Strayer's Unit 4? 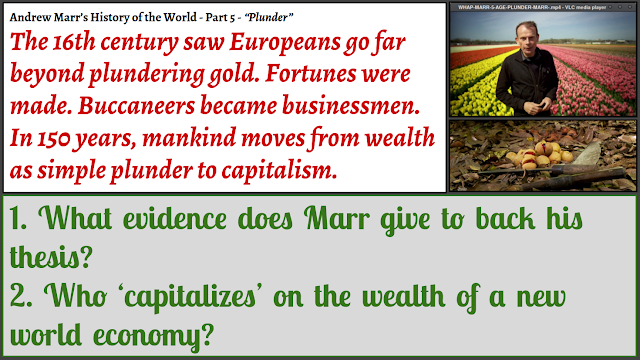 Anything Marr's "Point of View" - that may be biased or influenced in some way?